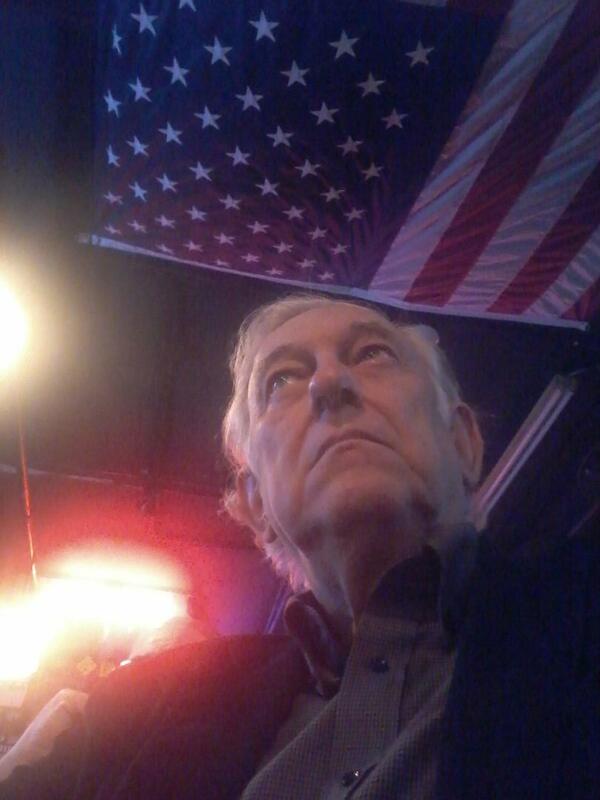 A Disgruntled Republican in Nashville: After 36 years, No New Year’s Eve Party. Thanks for the memories Rebecca and Dale! After 36 years, No New Year’s Eve Party. Thanks for the memories Rebecca and Dale! By Kathleen Williams - My sister and brother-in-law have been hosting far-flung family and friends for all these years, every New Year’s Eve; but not this year. Attendance has dwindled. The unexpected loss of Uncle Sonny and regular party-going friend Linda Raintree left us out of the mood. And this year’s arctic blast is a deterrent for older aching bones with several family members who struggle to leave their homes now with impaired vision and mobility. So, the end of an era. I’ll miss it. Wow, we’ve had a great run! It’s been a blast, worthy of commemorating each passing year and I’m grateful. Thanks Rebecca and Dale for your generosity and hard work that gave me and so many others such fun over 36 years!!!! 1980 was the first one at a little rented house in Donelson long before I’d met my husband and later children. I was just 20 years old. I’m now 58. So the story of this party is a window into the story of all the party-goer’s lives. A snapshot. In 1979, Rebecca and I had sold both our cars for a better single car and bought camping gear for an extended tour of the U.S. Bad planning, insufficient funds, a dental emergency, and an old car brought us to a strange place. After about 4 months of camping along the beaches of Florida, Georgia, SC, and NC– we landed in Kenosha, Wisconsin. My now sister-in-law Jeanne Tredup was my brother Donnie’s then girlfriend. We made our way to her family’s sofas and a job at her Dad’s print shop. Later followed by jobs at a nearby theme park: Great America in nearby Waukegan, Illinois. Rebecca met her husband Dale (a high-wire ride mechanic) there that year and stayed. Sending me home, alone and broke, back to East Tennessee. (After a month at home, I took off again with my brother Don and Jeanne across country on their honeymoon for 7 weeks -- a story for another time.) But that year, Becky and Dale got married and moved back home to Nashville and hosted our first New Year’s Eve Party. I remember my country singing boyfriend serenaded us in their kitchen into the wee hours of the morning – Brother Rod had introduced me to his music and Rod was an eager listener. New friends Lucy and Perky were there and I believe my family from East Tennessee who came about 50% of the time came that year. So many years, my dearest friend from high school came: Melanie Ault Watson Burman. In later years, with her wonderful artist husband Steve. Later parties took us out into the country when Rebecca and Dale moved to Joelton. First their little cabin in the edge of some woods and then out to the ranch house on beautiful Sycamore Creek, where my babies both grew up playing in the country. Our raucous music and fireworks disrupted starry cold quiet nights. Only hardy souls with designated drivers or graduates of “the Rod Williams School of Drunk Driving,” (a New Year’s Eve invention from oldest brother Rod) would make the trek. So unless party goers were spending the weekend, turn-out could be low. It was a long windy way to that party. Dancing with babies in my arms. Dressing up for my good-looking husband in my flashiest and sometimes sexiest attire. Big hair and lots of make-up. Later dancing with my growing daughter and son. My nieces and nephews. My Uncle Sonny. Uncle Richard. My old mother, a teetotaler who is the life of the party and loves to dance. She came last year at 85 with her walker and still danced. Most of the parties have had these traditional activities which means they’ve all been a blast: Great food (my sister is an exceptional host and cook), raucous music, lots of booze and other party enhancers, political discussion and great conversations, jokes, extended family and friends with kids of all ages, Christmas lights and tree, fireworks (Dale sponsored and fired them off), party hats and blowers, the countdown and kisses, singing Auld Lang Sine, dancing. Then some unique traditions developed. Arm-in-arm the party winds down with a circle of the hard-core singing: Marshall Chapman’s “Waiting for the Times to Get Better.” Google it. It’s the perfect song to end the year with. (We had a chance to tell Marshall, a local music rocker – she loved it and we gave her a photo of us in the round.) A scratchy LP is drowned out by our shouting rendition. Afterwards, we have to play David Allen Coe, another particular event. A psychedelic dance by yours truly accompanied by Coe’s “Willie, Waylon, and Me“ became part of the annual activities and lots of dance swapping and hugging and a love fest to end the night. Sister Rebecca and buddy Melanie loved to share tequila shots and Brother Donnie developed the practice of passing around limes and salt with the request that we “lick our crotch?” between our fisted index finger and thumb so he could apply salt. That always gets a laugh. Perhaps it has something to do with the tequila shot. Without these parties, I wouldn’t have gotten to know first cousin, once-removed Mary Beth Swindell and her husband Don and sons: Russell and Spencer. Nor had special moments with Uncle Sonny when we sang him a round of tribute songs each with the word Sun or Sunny or Sonny. (He died unexpectedly this year – I cherish the experience of this singing tribute.) Nor partied with my nieces and nephew’s friends: Delie singing Aretha Franklin, partying with the son of Dennis Ogle, my high school boyfriend: Jesse Ogle, nephew Justin’s best friend. On our drive home, we realized these teen-age guys had imbibed too much and a quick pull-off occurred just in time to avoid a messy van. Sitting on the bench seat with Jesse, I flung him over my lap and simultaneously opened the van door just in time to avoid a mighty hurl. Those country roads at 3 in the morning were rough on the over-indulged tummies. Without these parties, our sons may have never had the experience of gathering around Uncle Dale has he shot off fireworks sometimes with misfires landing under the deck we were all standing on or him tumbling down the creek bank and disappearing with sister Rebecca leading the applause like this was part of the act or the fireworks exploding under the car. The pyromaniac boys (Joey included) loved this annual activity. Because we had been having the parties for 20 years when the Millennium rolled around, we wanted it to stand out. So, Rebecca offered to let me and Don co-host and we brainstormed new activities: a huge bonfire, a nighttime hike, hot toddies in the barn, a time capsule, and a drum circle were added for this one special party. Uncle Sonny brought blue hair dye just for the occasion. I had recently attended a dance class and learned an African chant and dance: Good Feelings Come In – Bad feelings Go Out. It was a hit as everyone marched, drummed, danced and sang in a circle around the fire. After a few minutes brother Rod led us into a new version and chant: A, E, I, O, U, and sometimes Y and W. An instant success as everyone knew it and joined in. The time capsule had us sharing show and tell and then sealing them away. Uncle Sonny took it home and now I don’t know where it is. But I brought a family skate key that had hung in our Mama’s house for 20 years. Don and Donnie brought some writing they had done. Everyone brought something and slid it away into the plugged PVC pipe. Pine cone decorated cheese balls, peanut butter and powdered sugar pinwheels, caramel coated crispy oriental noodles, dazzling floral centerpieces (my sis is a master floral arranger), disco balls and disco lights, a throbbing base, and all the smiling, whirling, faces of all my living and departed kin and friends. Almost every New year’s Day we gathered again with out-of-towners at my Aunt Linda’s grand old house for black-eyed peas and corn bread and badly needed coffee to enjoy a more sober, somber affair. Still lots of stories and love to share. These are the holiday treasures to last a lifetime that cover so much of my life. Happy 2018! The end of an era. Join the "No TAX 4 TRACKS" movement. Council meeting postponed to Jan. 23th.